Today marks the public premiere of Pokémon The Movie 20: I Choose You!. Originally airing at Japan Expo in Paris on July 6, Japanese fans (or those willing to travel to Japan) will finally be able to see the long-awaited Pocket Monsters movie on the silver screen. Accompanying the original movie poster, which featured the legendary Ho-Oh, is an alternate design by Shinomiya Yoshitoshi. 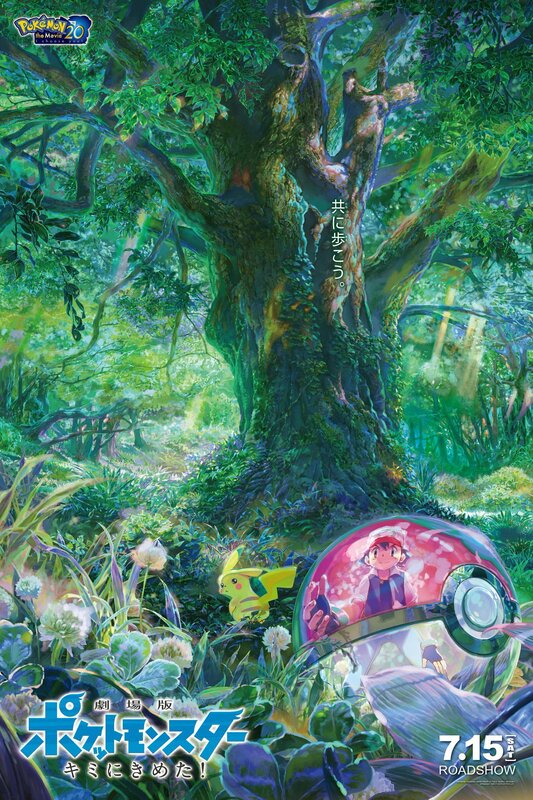 The newly released artwork is a far more ethereal fit for the 20th anniversary of the worldwide Pocket Monsters phenomenon. Both poster designs are pictured below. Directed by Kunihiko Yuyama, the film appears to be a retelling of the beloved anime’s first season which aired from 1997 to 1999. Based on the trailer it looks as though the film will focus on the relationship between Ash (Satoshi in the native Japanese version) and his trouble-making Pikachu. The film is also set to feature Ho-Oh as the film-specific legendary, and might expand on the mythical and mysterious ending that occurred at the end of the anime’s very first episode. Promotion for the film is spanning across a healthy mix of mediums, the most exciting of which being “Satoshi’s Pikachu”: event codes that will be given out to Pokémon Sun & Moon players holding advance tickets. Each event exclusive Pikachu sports one of Ash’s iconic hats from each region (excluding Jhoto), the hat that gets donned will depend on when the code is redeemed. Figma and Nendoroid have also issued new figurines, and the first season of Pokémon has received an HD remaster in preparation for the film’s release. You can watch the trailer for the soon-to-be released film below.